Foreign National Loans - Associates Home Loan of Florida, Inc.
Those looking to purchase property in the Sunshine State who are not technically United States citizens can still undoubtedly be helped by Associates Home Loans of Florida! Do not let your citizenship status deter you from achieving your property ownership goals! Today’s market trends have allowed many foreign nations to take great advantage of real estate deals on American soil. The term “Foreign National” applies to all who are non-U.S. citizens. 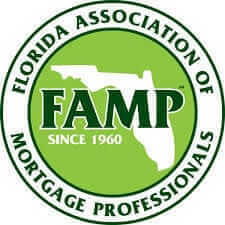 Professionals at the Associates Home Loans of Florida are proficient in this niche through our Foreign National loans! We provide a minimum loan amount of $20,000 USD, with up to 65% loan-to-value financing for purchases and refinances of properties in Florida. Our program is for investment properties only, with single-family and multi-family residences being eligible, as well as condos, townhouses and commercial properties. Amortizations only have a maximum of 15 years for our Foreign National Loan program. Borrowers need a stated income, but most transactions do not require verification. However, the loan’s approval probability is strengthened when proof of income is converted into USD. Also, borrowers will need a foreign passport when applying for this loan. All non-Canadian borrowers will not need an international credit report. The Associates Home Loan of Florida prefers its borrowers to provide verified assets in their U.S. bank accounts upon loan submission. Yet borrowers can verify their conversions at www.XE.com and provide a statement for a foreign bank account. Any needed funds to close the loan for purchase transactions are required to be held in a United States bank account that is in the borrower’s name. To inquire and get started on getting a Foreign National loan today, contact Associates Home Loan of Florida at (866) 257-9476!